"There have been quotes out there by leaders of the Big Ten that they're trying to do what's best for them," DU coach Jim Montgomery said in an exclusive interview. "That's disappointing. I think [the college hockey community has] always had the idea that we're going to do what's best for the sport." So if college hockey doesn't like the proposal, why is the Big Ten flexing its Power Five muscle and forcing the issue? While there is no definitive answer to that question (and Big Ten coaches won't give any good, specific, accurate answer), the whole issue may have surfaced after the 2014 National Championship game when Minnesota, a team made up of mostly younger student-athletes, lost in embarrassing fashion to Union (7-4 final). After the game, there was a feeling around the Gophers hockey program that Union had an unfair advantage because their average age was (a bit) higher than Minnesota's. "The number of players (college hockey) is putting in the NHL is higher than it's ever been before," explains Montgomery. "The graduation rate continues to be the highest in all of Division I Men's sports. There's nothing broken. There's nothing we need to fix." Coach Montgomery's feelings on the proposal have been echoed all over the country. Northern Michigan coach Walt Kyle told CHN, "What is the problem? What is your issue? You don't want to recruit those kids, then don't recruit them. What business do we have to restrict who can and cannot play?" Niagara coach Dave Burkholder agrees, "College hockey is unique and I think that's one of the beauties of it. [College hockey players] are more mature coming to us as student athletes, and that makes for better hockey." College hockey has always been a unique sport in the NCAA. More often than not, incoming freshmen are 19, 20, and even 21 years old. The reason for this is that junior hockey is an important step in most players' development. Most student-athletes play juniors for a year or two before making the jump to college hockey. The general consensus is that this path raises the level of play in college and makes these players more NHL-ready when their time in college over. "Our recruiting hotbed is Junior hockey. It is for everyone in college hockey," Coach Montgomery said. "The development of our sport at the junior hockey level is going to get hurt. There are a lot of players who don't reach their potential until they turn 20. There's nothing better than Tyler Bozak and what he was able to do as a 21 year old freshman." Bozak is a name DU fans know well. In his two years with the program before signing with the NHL's Toronto Maple Leafs, he tallied 57 points in 60 games. If this rule were in place prior to 2007, it's likely that Bozak would not have chosen to play with the Pioneers because of the limited eligibility. There are many other players in college hockey like Bozak who did not develop into a high quality hockey player until age 20 or 21. Even this year, Denver has nine student-athletes on its roster who would have been affected by this rule if it were in place. That means that about a third of the current roster would either not be permitted to play college hockey or have limited eligibility, which would handcuff Coach Montgomery. The rule "would force me to make a decision on these student-athletes before they're ready. It doesn't allow me to bring a player in when I think it's best to help the program." This means that conferences that have no college hockey programs could decide the fate of this proposal. "If you don't have a vested interest, you're just going to listen to your fellow Power Five schools and follow the party line," Montgomery explained. "It's a loophole the Big Ten is trying to take advantage of." That's why it's extremely important that this rule does not pass. College hockey is a unique, amazing sport and it's getting better every year without NCAA interference. Montgomery will be doing everything he can to make sure this rule does not pass. "We will reach out to all those [Power Five] schools who have a vote and try to help them understand how this is not going to help the game." "I really hope that college hockey as a whole is able to do what we've done in the past and talk about it as a group and do what's best for the game and not what's best for certain programs," Montgomery said. I don't think this will pass, as the college coaches will raise enough stink that even the non-hockey NCAA voters will understand it and defeat it. But make no mistake, this is the another salvo in what is being played out all over college sports, as the big Power 5 conference schools will dictate the future on their terms, just as they did on the Full Cost of Attendance stipend issue last year. 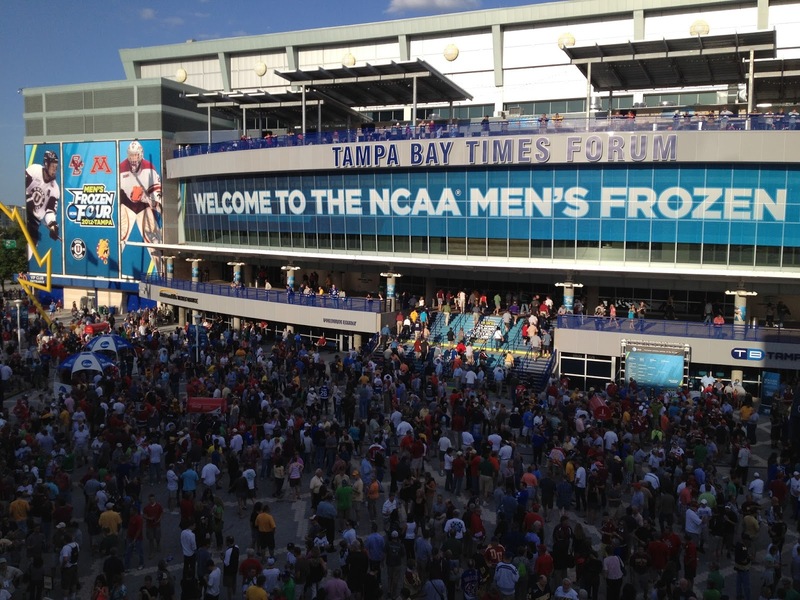 College hockey used to be a fraternity - but it's a revenue sport for some schools. DU will need to fight very hard to protect its place in the elite of the sport in the face of bigger and richer competitors in the coming years. One correction: the Power 5 conferences have their votes weighted by four and the other five FBS conferences have their votes doubled. The remaining 22 conferences get one vote. More than likely this will pass because so many conferences do not have college hockey schools. However, this is not about 21 year old freshmen. This is a trial run to see how much blowback they'll get when they propose legislation straight to the NCAA. The real legislation comes next year or the year after and will cripple the little schools. 22 schools have absolutely no representation on the NCAA council. My prediction is that if the BTHC gets away with this they will go ahead with more legislation and we'll see contraction in terms of schools, conferences and the national tournament. All those naysayers who predicted the BTHC would ruin hockey as we know it may still be proven correct. It's an interesting point. The Power 5 schools do drive the vast majority of revenue, TV ratings and sponsorship dollars for the NCAA, and most of that is through football and hoops, so I totally get why they don't like being controlled by the larger voting bloc of smaller schools in the NCAA. While billed as a "keeping up with the Jonses" move when the Big 10 hockey conference formed, even the NCHC was in part driven by DU and North Dakota's desire not to be controlled by the majority of smaller schools in the WCHA who often voted for cost-containment over growth initiatives in the old WCHA. 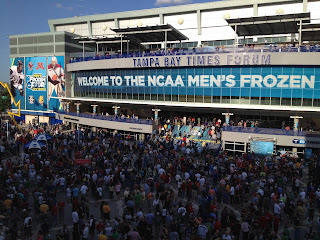 At the end of the day, college hockey is a fragile ecosystem of only about 60 schools. The only leverage the small schools still have is not to play Big 10 schools in non-league play. This will save college hockey. It has been ruined by juniors and the money sucking institution that it is. I don't care if you get better players, it ruins the sacred sport making it more individual and corrupt. The argument that it makes them more prepared for the NHL is a dumb one since a lot leave early meaning they would've developed just the same in college. And juniors can fill a role AFTER college for athletes who still wish to play on and try to make it big, further developing their play. Less kids would also leave college early and create a more static and loyal attitude from athletes. I personally don't think they are going far enough and every year of juniors should count for 1 year of NCAA eligibility. But this proposal is a good start.